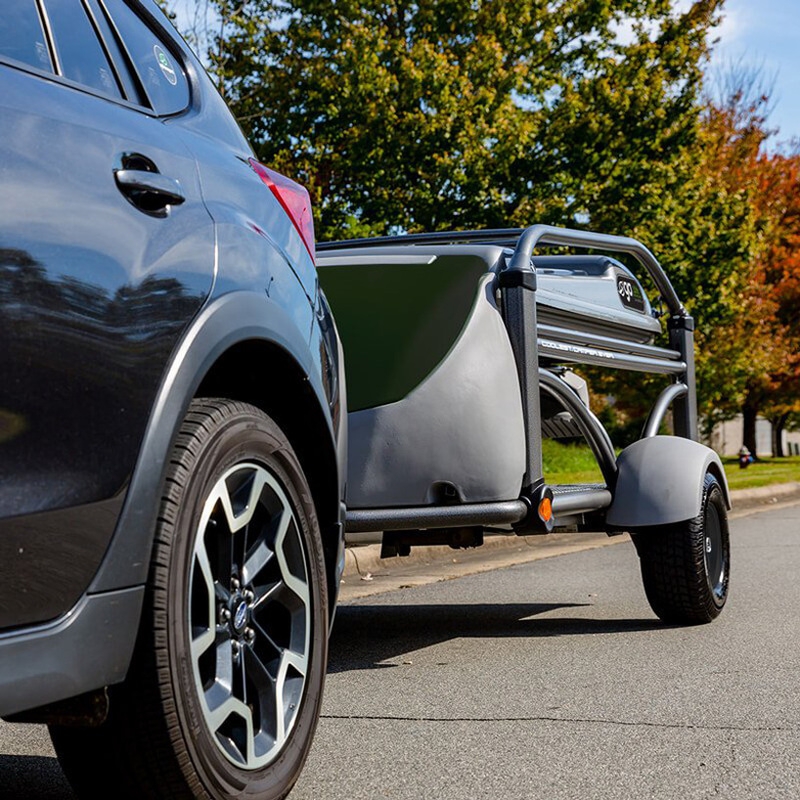 celebrating its 15th anniversary, canada-based sylvansport has released a limited edition run of fifteen platinum editions of its GO travel trailer. those of you that are familier with the brand will know what makes the sylvansport GO travel trailer so clever. 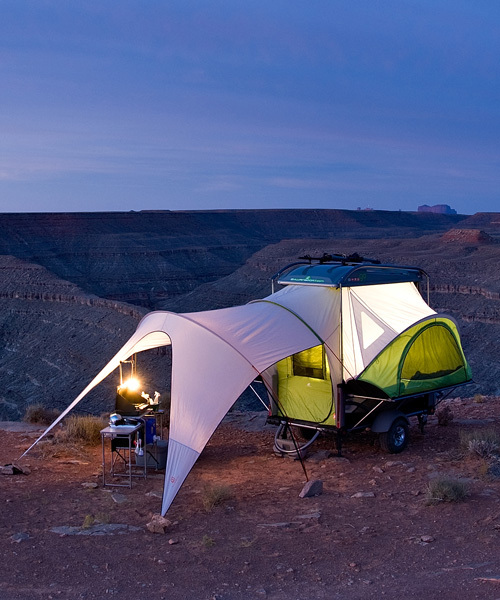 it’s that it can haul all of your gear and then transform into a camper that can sleep up to five people. 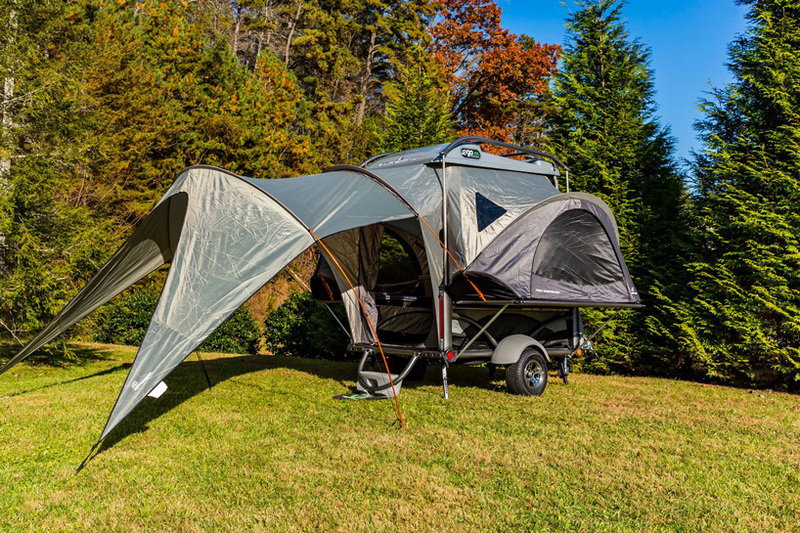 instead of the normal silver and green coloring, the limited edition platinum GO features a two-tone silver and gray tent package instead of the original silver and green. 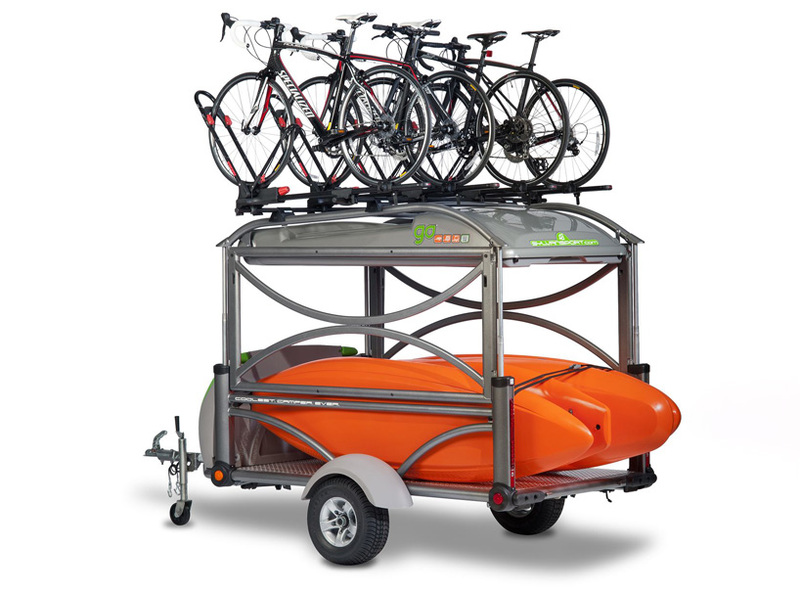 like the original model the trailer can hold an ATV or bikes inside the multi-height trailer bed. it can also carry bikes or kayaks on the roof rack. 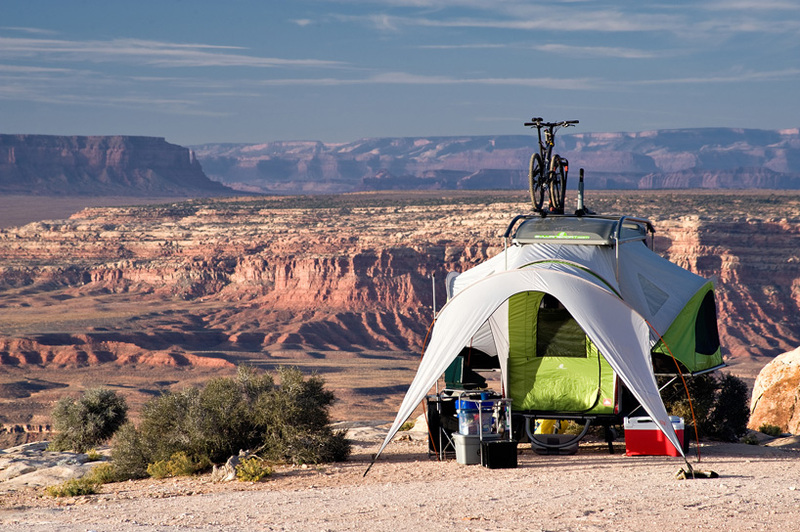 once you’ve arrive and your ready to set up camp, the trailer pops up and folds out to offer two bed/benches and a table (with 6 feet and 6 inches of interior standing height). the platinum theme continues throughout the interior with 4 gray self-inflating mattresses. the interior can be converted into one big king-and-a-half sized bed to sleep 4 people with storage space underneath. the whole unloaded unit weighs a claimed 840 pounds, with just a 70 pound tongue weight, so it’s easy to wheel around by hand off the car. the storage box lid is charcoal black and the super-wide tires are mounted on custom silver and black aluminum wheels. all of these color changes blend perfectly with the current diamond plate silver deck and the gray-black powder coated aluminum frame. 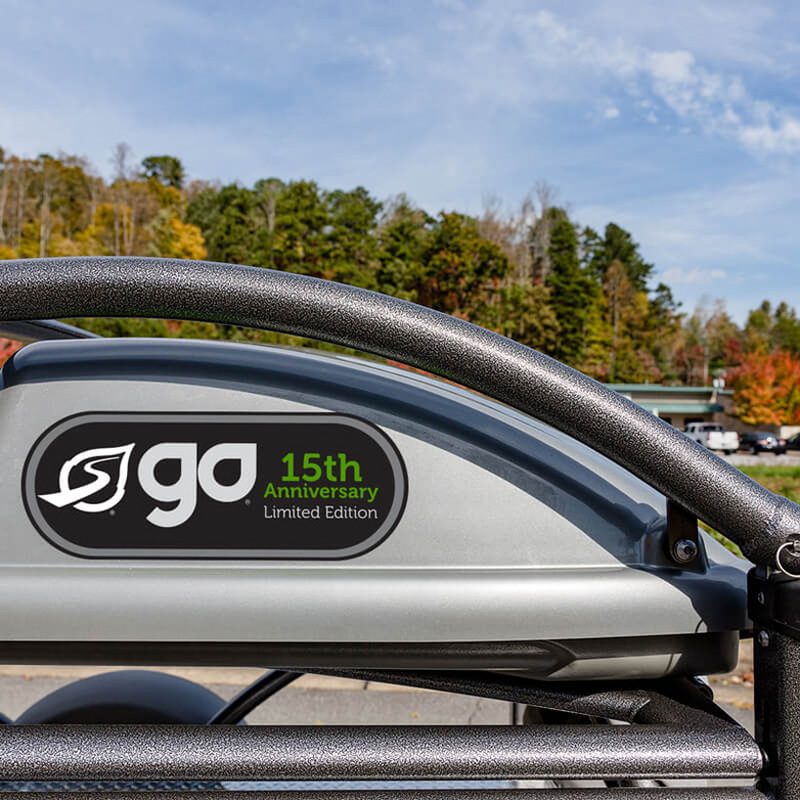 a special 15th anniversary limited edition GO decal package will round out the platinum GO offering. 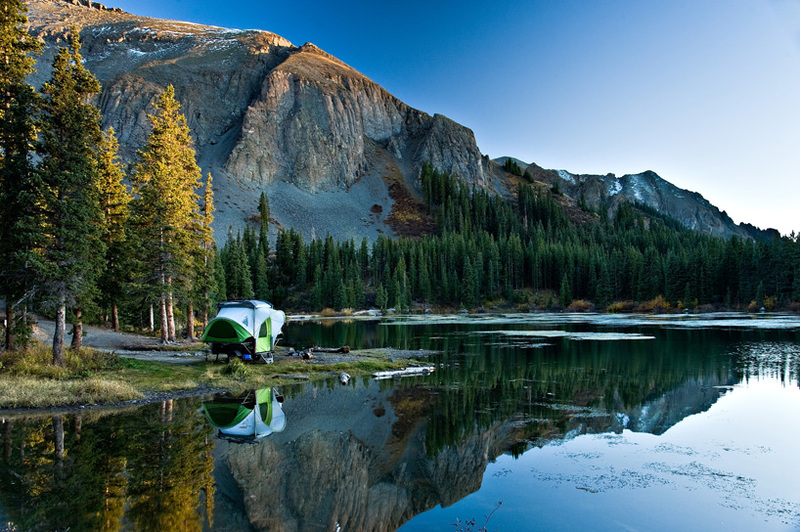 the seam-sealed tent is completely waterproof, featuring three-way doors and windows providing suitable airflow. like the standard GO model, the platinum GO costs $9,995. This is good design at its best. Well done.